Azerbaijani car manufacturer made debut with its Khazar brand at the Moscow International Auto Show (MIAS 2018), which opened on August 29. The start of car sales under the Khazar brand in Azerbaijan took place on June 11, 2018. 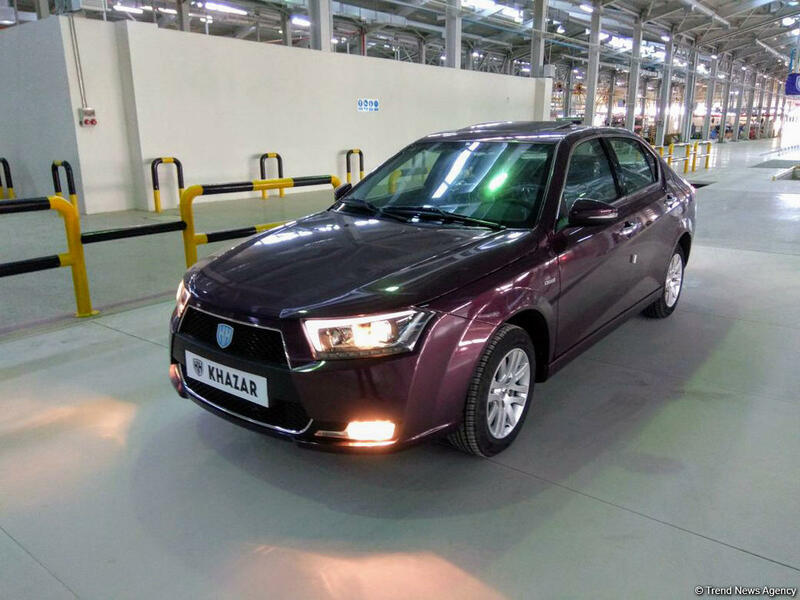 The production of cars of the Azerbaijani brand began at the Khazar plant in the Neftchala Industrial Zone in early April, but the company immediately announced its intention for imminent entry into the CIS markets. And, so, half a year later, the “Khazars” appeared in Russia at the auto show. Meanwhile, one of the plant’s owners told Trend that the Azerbaijan-Iran joint car plant Khazar intends to produce 1,500 cars until the end of this year. The company noted that during the next 2-3 years it has plans to increase production at the plant by more than three times. “It is planned to increase production to 3,000 cars per year in 2019 and to 5,000 cars in 2020-2021,” the company said. Presently, the plant produces Khazar LD and Khazar SD models. In the near future, it is planned to set up production of cars under the Renault and Peugeot brands, which will cost 18,000-21,000 manats ($10,600-12,300). The cost of cars presently produced at the plant is 14,000-16,000 manats ($8,200-$9,400). The Khazar plant was opened during a two-day visit of Iranian President Hassan Rouhani to Azerbaijan. The annual capacity of the plant is about 10,000 cars. These cars are expected to be delivered not only to Russia, but also to Ukraine and Central Asian countries in the future. A major Iranian automaker Iran Khodro and Azerbaijani company Azeurocar (subsidiary of AzerMash) signed an agreement on August 6, 2016 to establish a joint automobile plant in the Neftchala Industrial Zone. The total cost of the project is estimated at 24 million manats ($14.12 million). The Azerbaijani side has invested 75 percent, while the Iranian side – only 25 percent. Currently, Azerbaijan is highly dependent on import of cars and the new plant will help to eliminate this problem to a certain extent, while opening up opportunities for export.